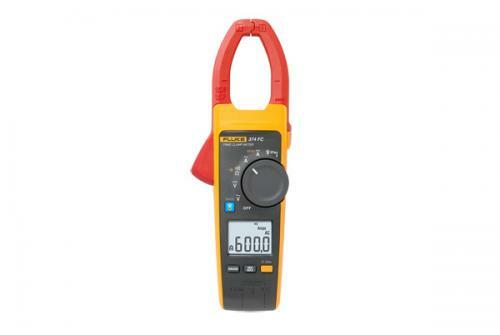 Fluke 374 FC clampmeters are CAT IV 600 V, CAT III 1000 V safety-rated instruments offering advanced troubleshooting performance to capture a wide range of measurements with a single tool. Some of the most frustrating tasks for electricians and maintenance technicians involve troubleshooting intermittent faults because these rarely occur at convenient times. The 374 FC clampmeters log measurements to pinpoint intermittent faults precisely, without the need for the technician to be present. The measurements can then be wirelessly transmitted to the Fluke Connect app on smartphones or tablets and automatically uploaded to the cloud. This improves safety by keeping technicians outside the arc flash zone and away from dangerous moving machinery.